Within the architecture of Egypt during the Mamluk sultanate (1250–1517), which was predominantly made of stone, wood was used for elements such as ceilings, doors, prayer niches (mihrab), pulpits (minbar), and screens (mashrabiyya). As timber was expensive and not available in great quantities in the region, most of these items were built and decorated by assembling small pieces of wood rather than using large panels. 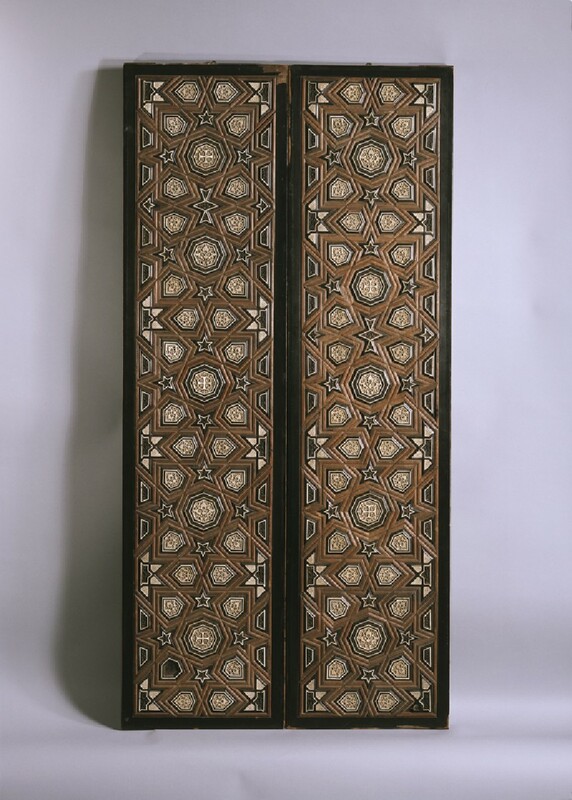 In this pair of doors, the wood background provides the framework of the decorative geometric pattern, where ivory and ebony insets were inserted. Both ebony and ivory plaques were carved with vegetal patterns. Five of the ivory plaques, however, have crosses, instead of vegetal decoration, as their central decoration. 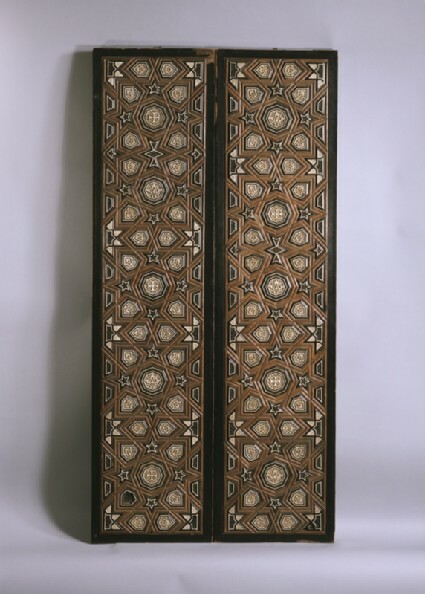 This suggests that these doors belonged to a Christian building, possibly a Coptic church, and that, with the exception of some specific elements, a shared decorative vocabulary was used for patrons belonging to the different religious communities present in Egypt at this time. Purchased with the assistance of the MLA/V&A Purchase Grant Fund, 1984.